Veteran video game voice actor David Hayter has stated that not only will he not be returning to the Metal Gear Solid franchise, but also Konami never even approached him for the job to play the iconic Solid Snake. Hayter has been a key instrument in video game voice acting reaching the quality it has obtained in recent years, and the influence from his work can't be stated enough. "What we're trying to accomplish here is [to] recreate the Metal Gear series. It's a new type of Metal Gear game and we want to have this reflected in the voice actor as well." Sounds like Kojima is getting a little too lost in his reputation as an auteur again. Why give a reasonable answer when you can make yourself look deeper with a little bit of nonsense. Changing a voice actor seems like an incredibly light and desperate act for redefining two and a half decades of lore, but most of his fans will most likely blindly accept his reasoning as they always do. No doubt "his asking price was too high" or "we wanted more Hollywood recognition" wouldn't fly so well with the gaming press, but luckily the series comes built in with a ludicrous amount of pretension. Anything is possible with the series and we've just adapted to accept it. Of course, this could all be a typical ruse from Hideo Kojima as well. Shouldn't he be more worried about finding the new Japanese voice actor on his end of the world? But wait a minute because Akio Otsuka, Snake's Japanese actor, is keeping his job. Does this new direction for the series only apply to the West? How about it? Will David Hayter be replaced by a cheaper yet equally talented actor or a Hollywood superstar? Could it have anything to do with the live-action movie Konami states is in pre-production now? Regardless of who is chosen for the role, a piece of Metal Gear will just feel like its missing from here on out. 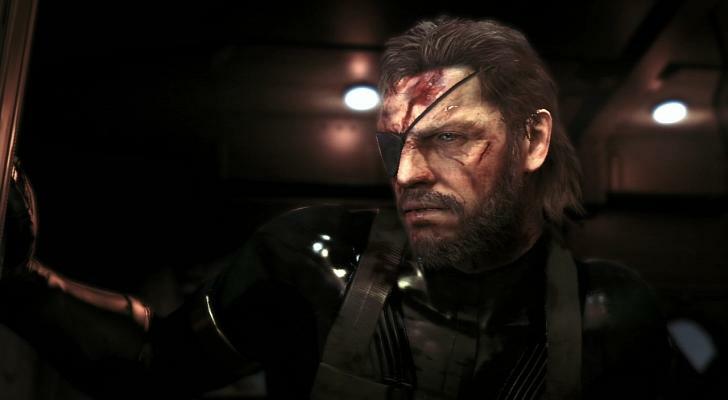 Both Metal Gear Solid V: The Phantom Pain and Metal Gear Solid: Ground Zeros are in development at Konami and are slated for release on the PlayStation 3 and Xbox 360.